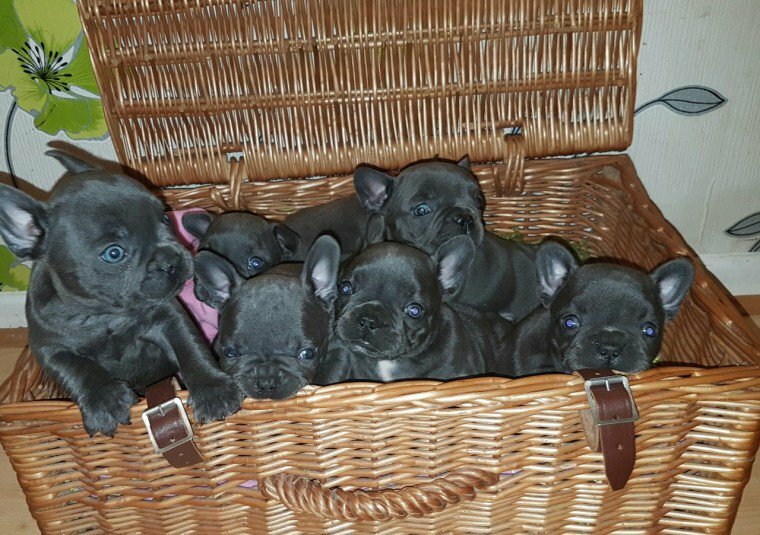 Pleasure to announce litter of 9 Solid blue French Bulldog puppies born naturaly by our Princess Kate sired by King of England. Both parents are health tested HC CLEAR and both solid blue. Puppies also HC CLEAR. Puppies will be. . Kc Registered with 5 Generation Pedigree . microchipped . dewormed and defleated . vet checked . 5 weeks free insurance . will have first vaccination done Girls with white on chest 2300. each Girl all blue RESERVED 3 Boys with white on chest 2000. each Boys all blue RESERVED They are now over 5 weeks old and can be seen with mother. Will be ready to leave from 16th October 2018. 300. deposit will secure puppy of your choice.